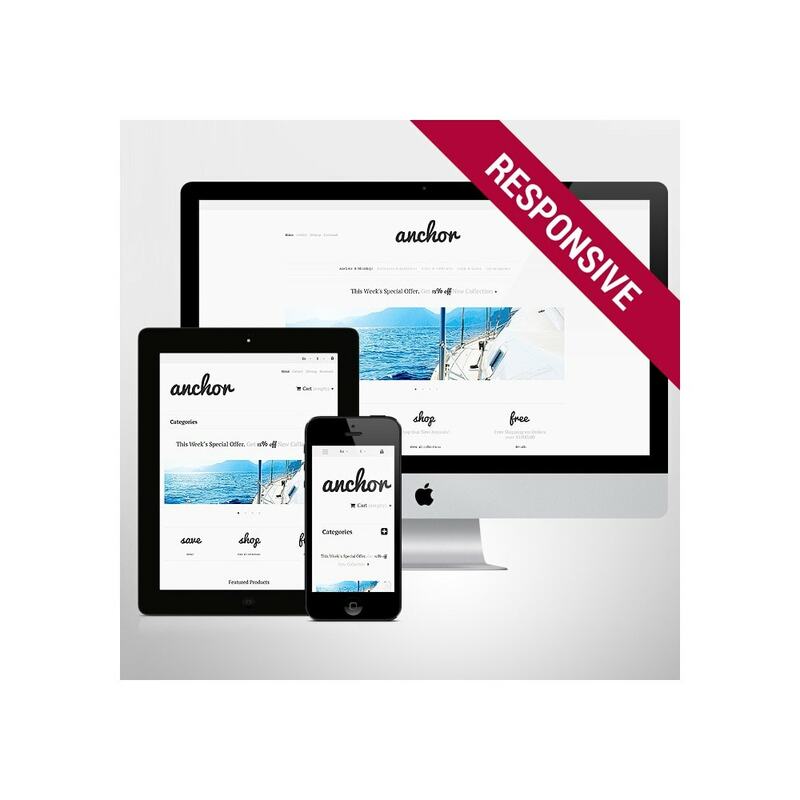 If you want your marine website pass filters of quality, innovation, and creativity, choose only premiumquality designs from professionals. 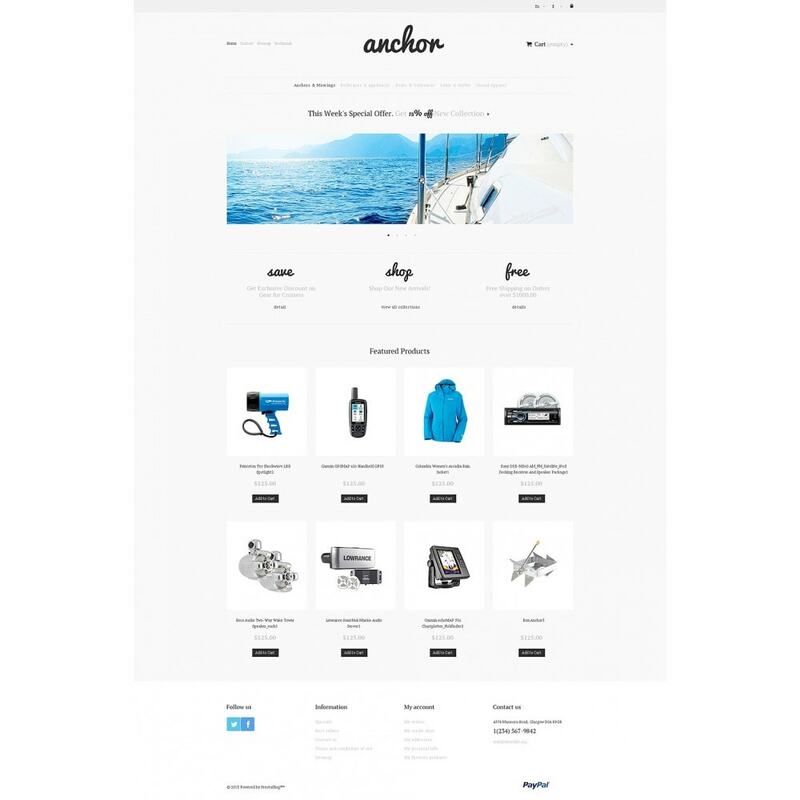 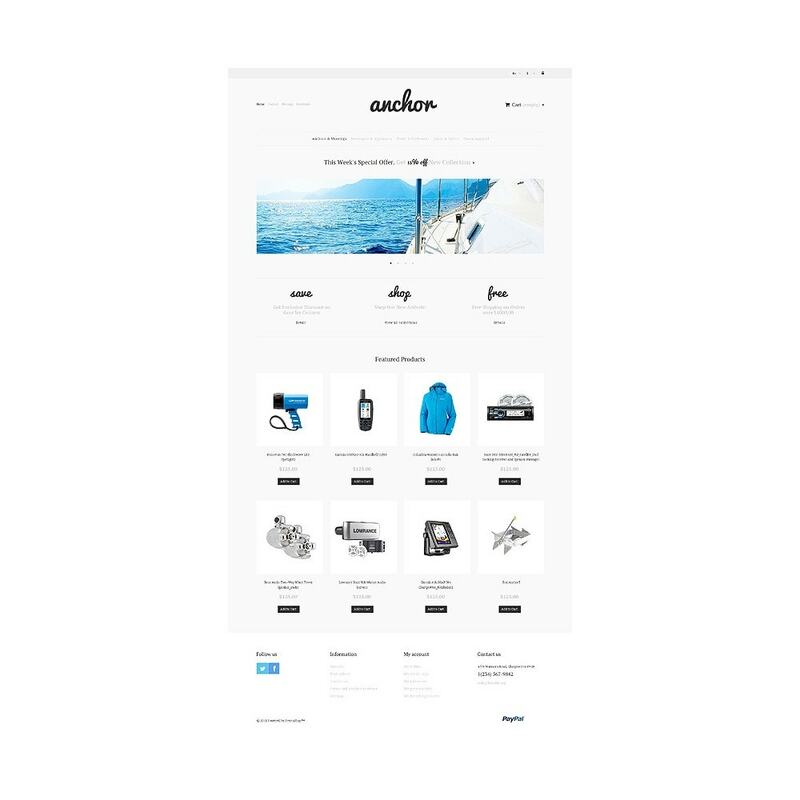 Marine website template you see is a perfect piece of minimalistic design that will aptly present all searelated products. 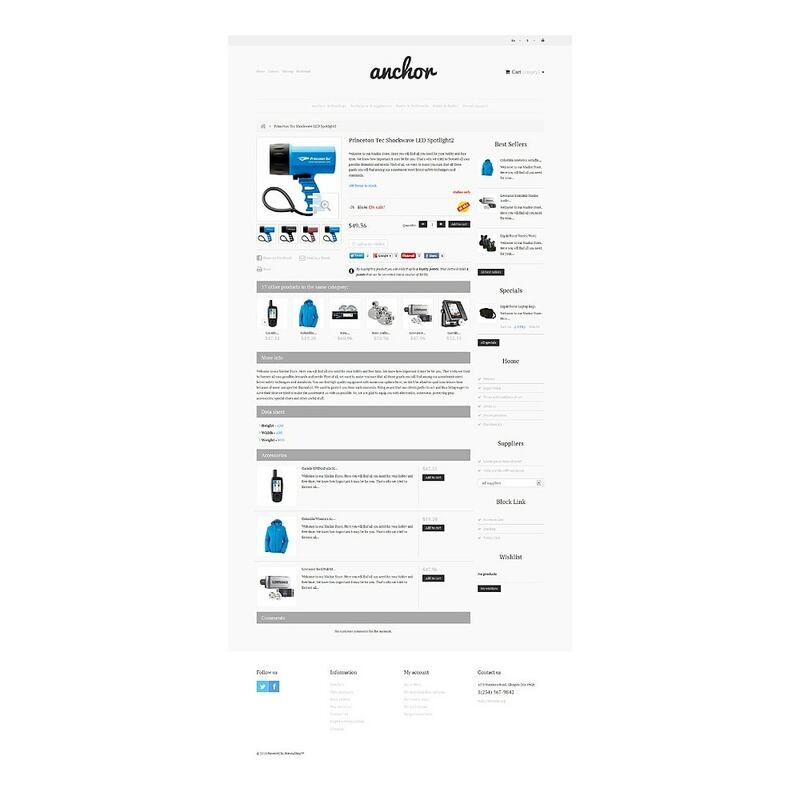 Here the items are supplied with short descriptions, price notification, and calltoaction buttons. 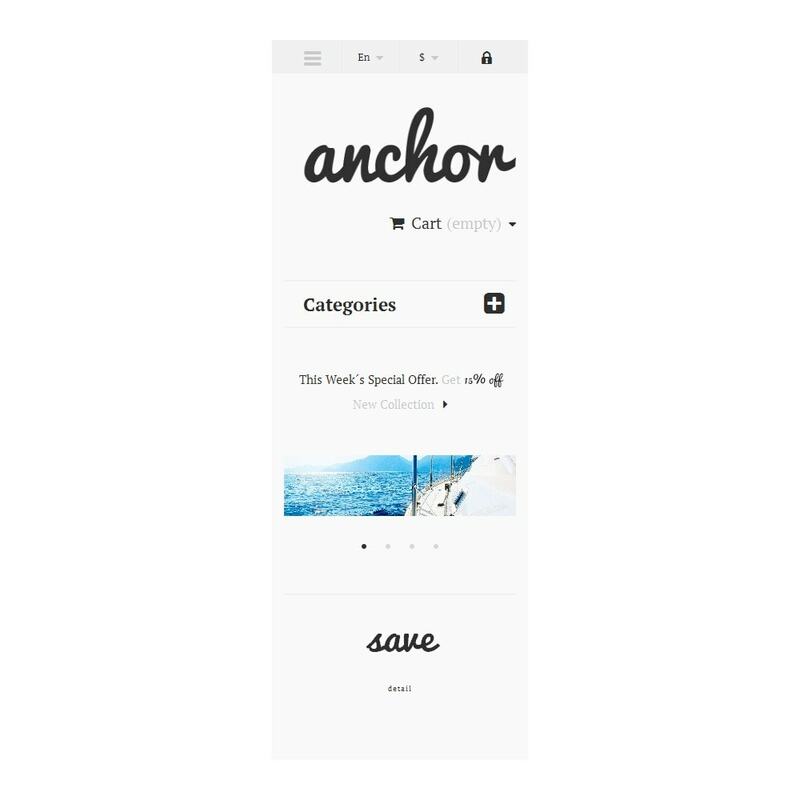 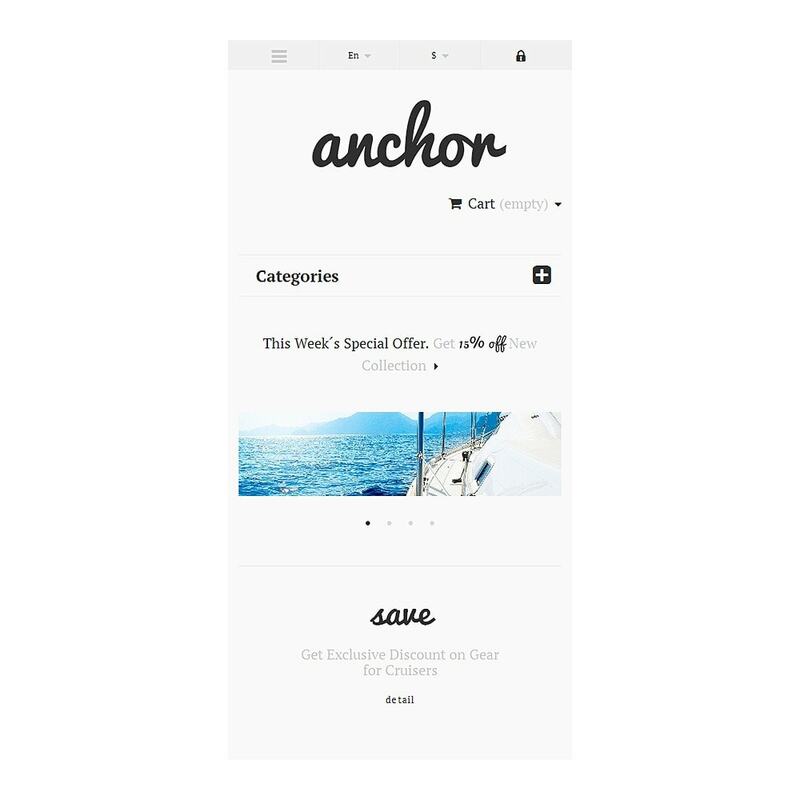 Featured links and additional menu in the footer accelerate user's navigation. 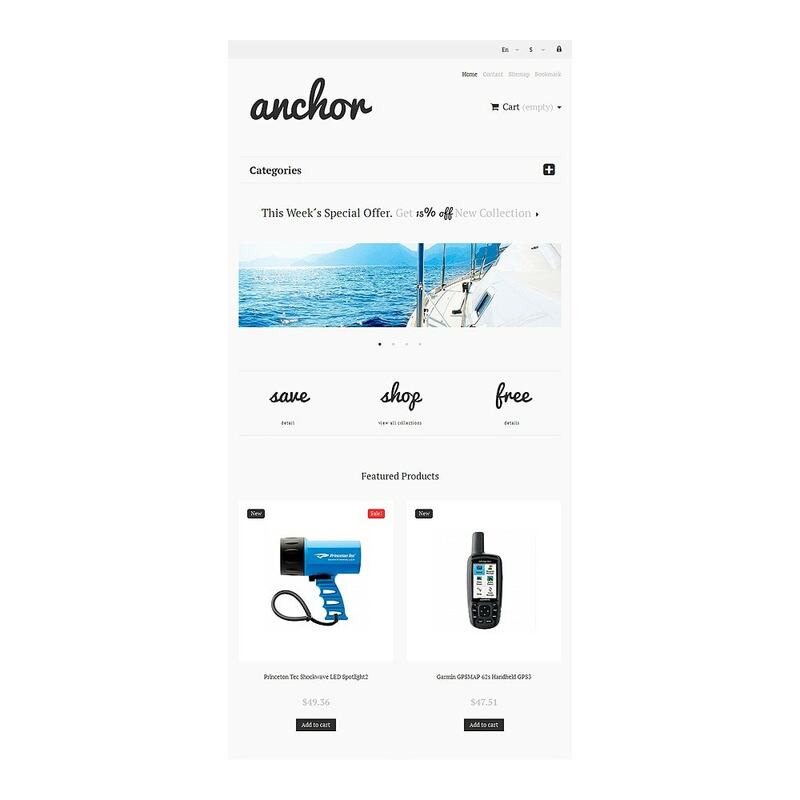 Choose this design to make it a trigger for new visitors of the marine shop. Intended for yachting, sailsports, and other sport websites.